Tru here. This InfoGraphic project was collaboration with 3SpiritUK, myself and my husband during 2014. Much thanks to Caroline Bartle, Anna Tatton, and Trish O’hara for including us in this project. This is one of those things that i think would be really good to include with packet for newly diagnosed, along with Link resources for peer groups like Dementia Mentors, DAI, and local groups, etc. * Admin issues: SHARE dementia awareness thru buttons below. Feel free to leave your thoughts in the form of comments, but please filter your comments with truthful loving kindness to all concerned. If interested in receiving notice of future blog postings, subscriptions are available through a “follow” button in the upper left corner (MS Explorer) or lower right (Safari, Mozilla Firefox and Chrome). If there is an advertisement below, I have no control over what is shown. My own full legal name is Truthful Loving Kindness. With the new terminology, my current diagnosis is still Mild Cognitive Impairment, but my neurologist said I am in a unique position for helping because I have “one foot in each door”. Text Copyright © 2018-02/19. 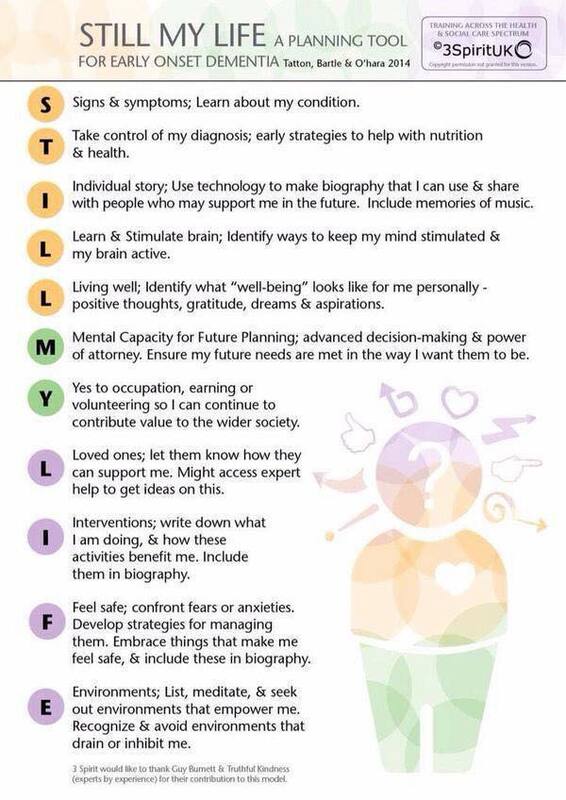 Tags are: alzheimers, dementia, diagnosis, infographic, PWD, strategy. This entry was posted in Action request, Contributions from Others, Crucial, Important, Journal, pkg w Dx and tagged alzheimers, dementia, diagnosis, infographic, PLwD, strategy. Bookmark the permalink. I like that tru. all the points I or anyone can take to heart.